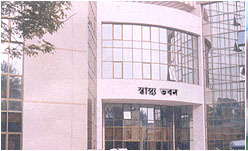 Healthcare in West Bengal features a universal health care system run by the state government. The Constitution of India charges every state with "raising of the level of nutrition and the standard of living of its people and the improvement of public health as among its primary duties". Ministry of Health & Family Welfare of the Government of West Bengal is responsible for healthcare administration in the state. Affordable, accessible, sustainable, high quality essential health care for all in 5 years. Special focus on the poor, mother child and elderly, and those living in underserved areas. Emphasis on the development in hospitals and health care facilities. 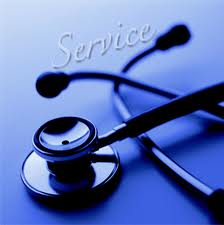 Emphasis on the development and maintenance of standards of service in hospitals and health care facilities. The Health and Family Welfare (H & FW) Department is organized into a number of Directorates whose work is monitored and coordinated by the H & FW Department at the Secretariat. The Department functions under the overall guidance of the Chief Minister Smt. Mamata Banerjee, who is also holding the charge of this Department. This Department is headed by the Health Secretary who oversees the working of various Directorates and develops various policies which gets implemented after the approval of the Chief Minister and the Minister-in-charge. The State Health Administration has two arms, the Secretariat and the Directorate of Health Services. The Secretariat is headed by the Additional Chief Secretary/ Principal Secretary who is a senior officer of the Indian Administrative Service assisted by Special, Joint, Deputy and Assistant Secretaries. The Director of Health Services and ex-officio Secretary heads the Directorate and is the Chief Technical Advisor to the State Government on all matters related to medical and public health. He is assisted by a number of Additional, Joint, Deputy and Assistant Directors. The Health Care System has primary health care network, a secondary care system comprising of district and sub-divisional hospitals and tertiary hospitals providing specialty and super specialty care. Each of the eighteen districts is headed by a Chief Medical Officer of Health (C.M.O.H. ), assisted by Deputy and Assistant C.M.O.H.s, whose responsibility is to manage the primary health care sector and ensure the effective implementation of the various medical, health and family welfare programmes. The secondary level hospitals are headed by medically trained superintendents who report to the C.M.O.H. and are accountable to a hospital management committee. At the block level, the Block Medical Officer is responsible for providing services and for monitoring and supervising the primary health centres and health programme implementation. 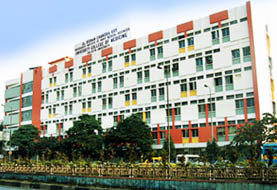 The medical manpower in the State Health System is provided by the State Health Service and in the teaching institutions by the Medical Education Service.The training activities are mainly organised at the Institute of Health & Family Welfare, Bidhannagar, Kolkata, and also at various training schools. Thus, it is seen that the West Bengal health care infrastructure is divided into three tiers — the primary health care network, a secondary care system comprising district and sub-divisional hospitals and tertiary hospitals providing specialty and super specialty care. A Chief Medical Officer of Health (C.M.O.H.) heads each of the eighteen districts.The responsibility of CMOH is to manage the primary health care sector and ensure the effective implementation of the various medical, health and family welfare programmes. The secondary level hospitals (sub-divisional and district hospitals) are headed by superintendents who report to the C.M.O.H. and are accountable to a hospital management committee. At the block level, the Block Medical Officer of Health (BMOH) is responsible for providing services and for monitoring and supervising the primary health centres and health programme implementation. 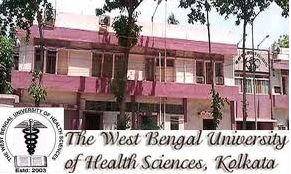 West Bengal Health Service provides the health care professionals for the state-wide infrastructure, while Medical Education Service employs teachers at the training institutions. Following table illustrates some health care indicators of the state, compared to the national indicator, and comparison with some major states that fared better than West Bengal (states with population 20 millions or more as of 2011 national census were considered as major states for this table). These data are based on Sample Registration System of Office of the Registrar General and Census Commissioner, India.